The Food and Drug Administration approved a new flu medication on Wednesday and medical professionals are ecstatic about it. Why? Because the drug, called Xofluza, is the first and only single-dose oral medicine approved for treating the flu. “We welcome any additional tools available to us to treat influenza when patients become ill, and this new drug is a convenient, one-dose option for patients,” Dr. David Priest, medical director for infection prevention at Novant Health, told ABC News. But he also emphasized that the best method for treating the flu is by not getting it in the first place. And you can do that by getting a flu shot — the first line of defense against the flu. “The influenza vaccine is still the best way to prevent influenza, and we will continue to encourage people to be vaccinated,” he said. 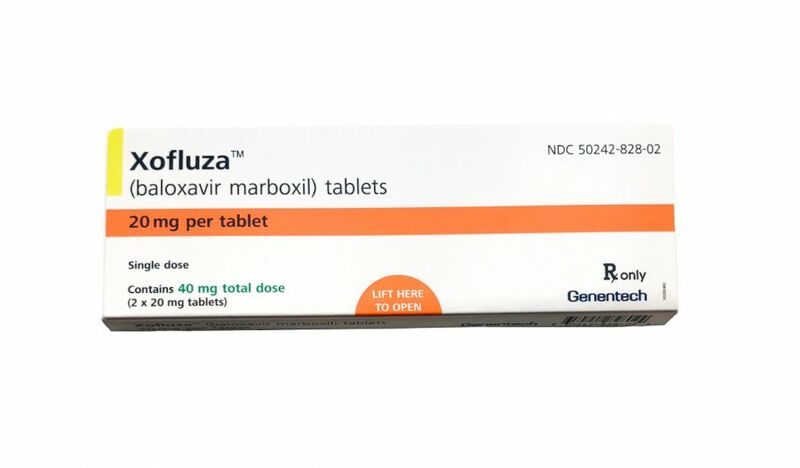 This undated product image provided by Genentech shows a box for Xofluza, a pill for shortening the duration and easing symptoms of the flu. Why is this announcement such big news? Flu season in North America begins in November and ends in March. The strength of the flu each year is dependent on a few factors, including which strains of the virus are circulating, how effective the vaccine is and how many people get vaccinated. The last flu season, from 2017 to 2018, is considered to be the deadliest in four decades, with more than an estimated 900,000 hospitalizations and 80,000 deaths, according to the Centers for Disease Control and Prevention. But Xofluza (pronounced “ZOH-FLU-ZAH”) will give doctors a new option for fighting the flu once it’s diagnosed in people ages 12 and up. What does Xofluza do that Tamiflu doesn’t? Until now, Tamiflu has been the only other option for people who are diagnosed with the flu. The drug is known to make symptoms of the flu less severe and shorten their duration. But whereas Tamiflu requires patients to take two doses a day for about five days, Xofluza requires only a single dose if taken within 48 hours of the onset of symptoms. Xofluza can also reduce the amount of time a person is sick by more than a day. And, equally as important, Xofluza could possibly stop the spread of flu faster than Tamiflu. 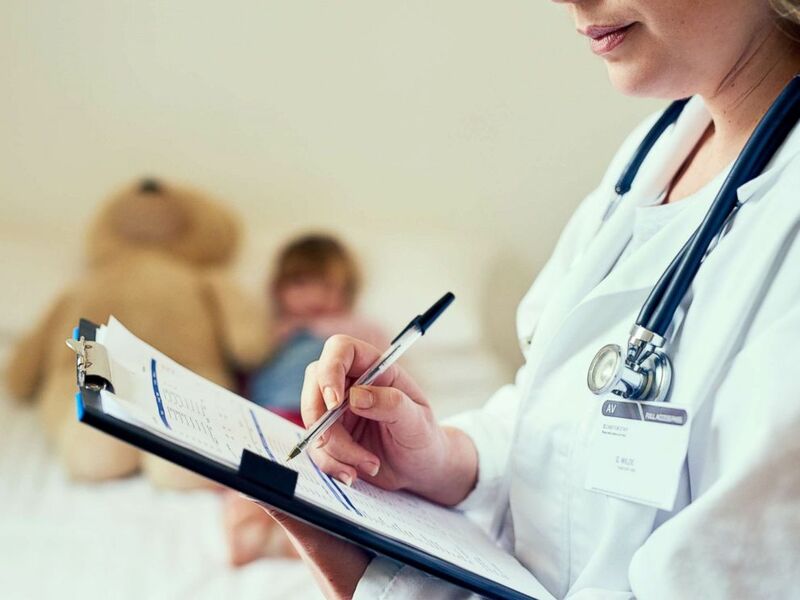 A doctor is pictured filling out a form while treating a child patient in this undated stock photo. Xofluza is also associated with fewer side effects. Tamiflu has been associated with upset stomachs and headaches, and even some psychiatric effects, like delirium and hallucinations. By comparison, Xofluza was shown to only cause mild side effects in clinical trials, such as cold-like symptoms and headaches. How quickly does Xofluza work? If you start feeling symptoms of the flu, such a shortness of breath, high fever and abdominal pain, you should see a doctor as soon as possible. Genentech, the maker of Xofluza, says that it works best if taken within 48 hours of these symptoms beginning. “Like Tamiflu, it seems to work better the quicker it gets into the patient,” Dr. Todd Ellerin, infectious disease specialist at South Shore Hospital in Massachusetts, told ABC News. He added that it was studied in otherwise healthy patients, so it’s unclear right now how effective it would be in patients with the most severe form of the illness or those who are most vulnerable. Will it work on every strain of the flu? Genentech says that Xofluza was shown to be effective in non-clinical studies against a wide range of flu viruses, including Tamiflu-resistant and avian strains, such as H7N9 and H5N1. A woman blows her nose in this undated stock image. If you get the flu, your doctor will decide if Xofluza is appropriate for you; it’s expected to become available to the public within the next few weeks. The price for the drug will vary depending on your pharmacy and your insurance plan, but a full dose of the medication is expected to run around $150. Genentech says it will provide coupons that will help reduce the cost to as low as $60 for people who don’t have insurance. For people who have insurance, it could be as low as $30. Eric M. Strauss is the managing editor of ABC News’ Medical Unit.